So many woman inspire me. Inspire me to be better, dress a certain way, feel a certain way and that has inspired "Woman who inspire me, Wednesday's" to the blog. Hope you are inspired by these stories as well. My mother and Jessica's mom were cousins. I remember as children; almost every summer was spent in Mexico with my grandparents. I loved going to Mexico because it was also a chance for me to visit with my cousins who came down from Chicago to spend time with their grandparents. My cousin Jessica is younger than me, and over 10 years ago she lost her mother. We became closer over our adult years; she has a son who my son plays really well with and on top of all of that we are family so the support, love and bond will always be there. Recently, Jessica has been on a mission to change her lifestyle. Her personal health lifestyle and that is what has inspired this post. 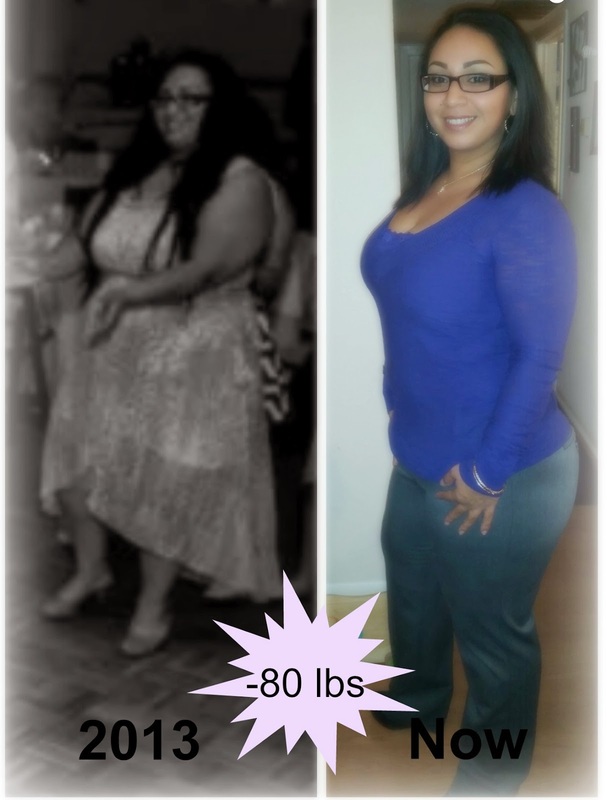 She has lost over 80lbs and that is MAJOR! I asked her to write a piece for my blog to help inspire others and myself even to continue to live a happy, healthy and fit lifestyle.